Andrew White is something of a legend: a man of great charm and energy, whose personal suffering has not deflected him from his important ministry of reconciliation. Andrew grew up in London, the son of strongly religious parents: by the age of five he could repeat the five points of Calvinism. As a child and young man he was frequently ill, but his considerable intelligence meant that his studies did not suffer. He set his heart on becoming an anaesthetist, an ambition he achieved, only to be redirected by God to Anglican ministry. Since ordination he has had a considerable role in the work of reconciliation, both between Christian and Jew and between Shi'ite and Sunni Muslim. Often in danger, and always in pain, he has nevertheless been able to mediate between opposing extremes. A man of God, he is trusted by those who trust very few. My Journey So Far by Andrew White was published by Lion Hudson Plc in October 2015 and is our 13312th best seller. The ISBN for My Journey So Far is 9780745970226. We knew little of Andrew White's ministry until we met him at a meeting recently. 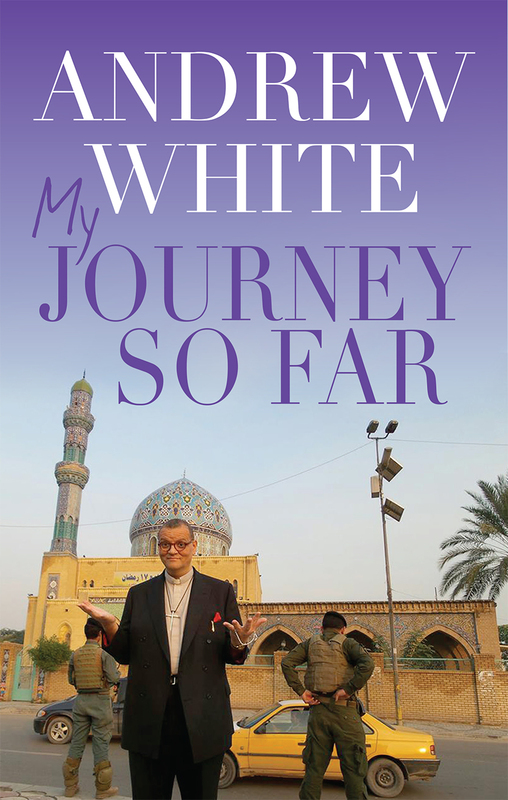 We purchased his latest book which simply and profoundly recounts his life 'so far' but more importantly conveys his message of love and reconciliation. It's a very easy and engaging read but utterly inspirational in its content. I hope to send copies to family and friends this Christmas! Got a question? No problem! Just click here to ask us about My Journey So Far.